Virtual Reality is often associated with video games. Even though one of the first iterations of consumer-targeted virtual reality was the Oculus Rift which had gamers in mind, it was never meant to be limited to them. 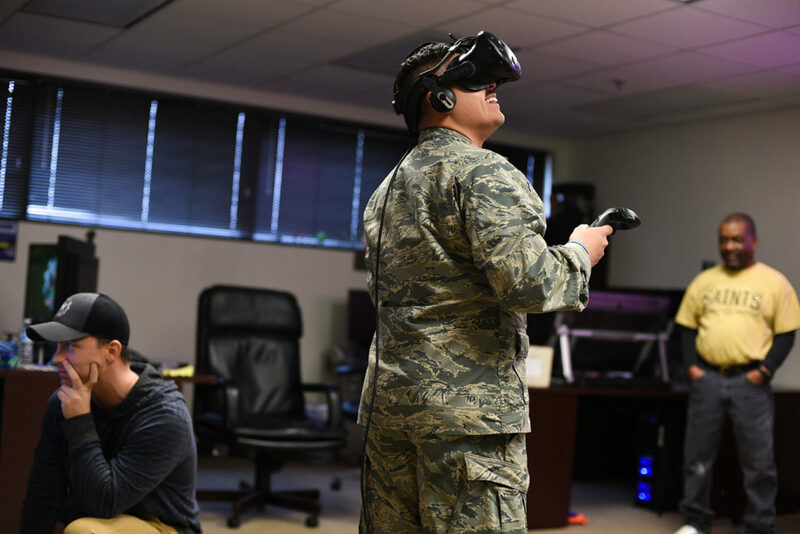 VR has become an integral part of several industries, from treating soldiers with PTSD to flight simulations to helping doctors perform surgery. Virtual Reality in medicine has been one of the fastest growing uses of the technology. 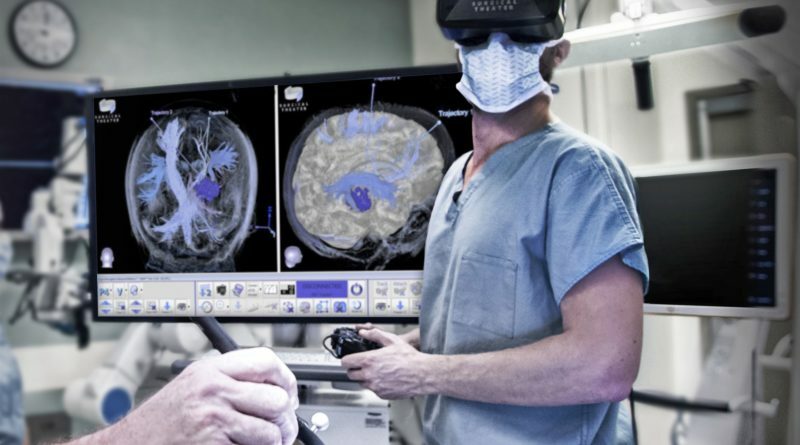 The VR is often provided by the same helmets you’d see in video games but sometimes 3D glasses or special video screens are used as displays for stroke doctors, pain specialists, surgeons, and psychiatrists treating patients with post-traumatic stress disorder. Virtual Reality in medicine is nothing new as forms of the technology have been used for years. 3D visualization and it’s solutions have been utilized as far back as the 1990’s where doctors and surgeons would make an entire virtual 3D map of a patients organs. Nowadays with advances in computing power and VR becoming more accessible, these images can be simulated at a much faster rate with a much cheaper price tag. 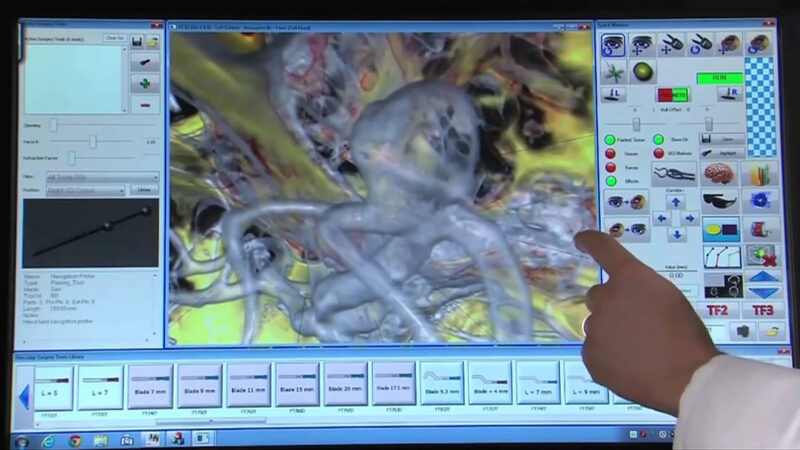 X-rays, CT scans and MRI scans can be turned into 3D images with complex detail in under a minute now. Virtual Reality in medicine is being implemented across the country using the same cost-effective techniques. Doctors can now plan out difficult surgeries with a solid idea of the complications they might be facing. Simple surgeries such as appendectomies or cesarean sections are pretty straightforward for doctors. But for extreme cases, such as conjoined twins or a burst duct, simple procedures turn into challenges that have to be treated with planning and process. When complications arise and the doctors are unsure of what the problems might be, 3D visualizations have been an absolute game changer. A recent example of Virtual Reality in medicine and surgery can be found in a procedure that separated conjoined twins at Minnesota’s Masonic Hospital. Separating the twins, who were joined by the heart and liver, was obviously an extremely risky procedure. The use of VR technology greatly assisted the doctors to plan and navigate their course of action. Before the procedure, the team of surgeons took a CT, MRI and ultrasound scan and used the results to create a super detailed image of the body of the twins and where they were joined. They then made visuals of the twin’s organs and their inner workings to observe the possible dangers that could happen and how they could be avoided once they knew what they were dealing with. During this specific procedure, doctors used 3D glasses and were able to walk through the structures they created, deconstructing specific parts so they could to see exactly what could be done. These kinds of procedures help reduce the number of dangerous outcomes and increases the possibilities of success. VR is being implemented in several other branches of medicine such as being used for vascular pains. 3D visualizations can be prepared for interactive uses and solution building for aneurysms and blocked arteries. These visualizations give doctors a better idea of the type of equipment they should use for certain procedures. One of the leaders of VR medical imaging is Ohio based company Surgical Theater. They combine intra-operative navigation with 3D virtual reality and the platform is FDA-cleared for neurosurgical pre-operative planning. 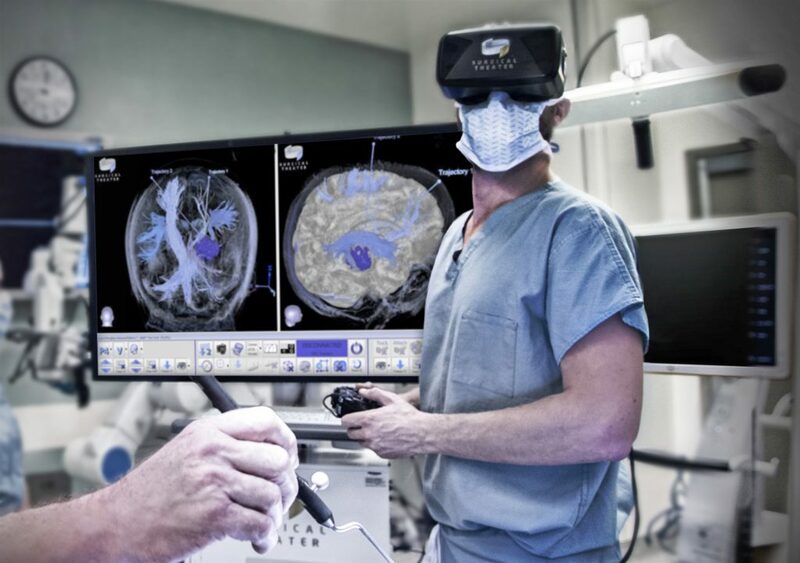 The company’s Surgical Planner software accesses files such as CT or MRI scans, and processes the information to create patient-specific, VR reconstructions to help plan surgery, The reconstruction can then be seen on a touchscreen and a VR headset, such as the Oculus Rift. The platform is becoming quite popular with surgeons and the company has partnered with many leading medical institutions such as Mount Sinai and the Mayo Clinic. Where doctors are using Virtual Reality in medicine to predict outcomes and have a better idea of the possible complications, patients too are starting to use virtual reality equipment to help them understand their own problems whether they be physical or mental. Psychiatrists are implanting the use of virtual reality helmets to help treat patient’s anxiety and PTSD by exposing them to fears in small, controlled environments. People who fear flying, the ocean or insects can be exposed to these environments in the comfort of their home or at their psychiatrists’ office. VR is also used by cancer patients undergoing chemotherapy to reduce anxiety and to help pass the time in a fun way. Similarly, for children receiving injections, VR can act as a playful distraction and make the process easier for all parties involved. 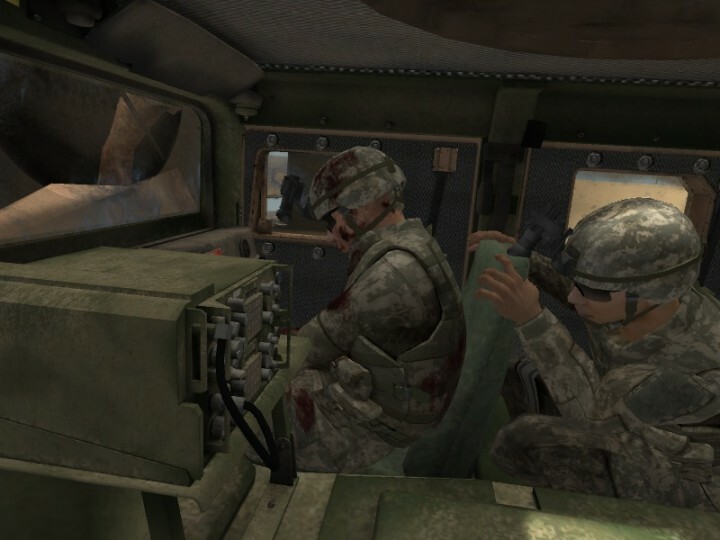 The military has actually been using Virtual Reality as a means of treating their soldier’s PTSD for years. As the technology has become more powerful, psychiatrists can better simulate environments, even introducing smells into the experience. One example is Bravemind which is a VR Exposure Therapy software that was created at the University of Southern California Institute almost 14 years ago. Bravemind gradually immerses patients into virtual environments representative of their traumatic experiences. The virtual world is a recreation of places like Iraq and Afghanistan along with situations that soldiers have encountered. Currently found at over 60 sites like military bases, VA hospitals, and universities, the therapy approach has been shown to produce a meaningful reduction in PTSD symptoms. 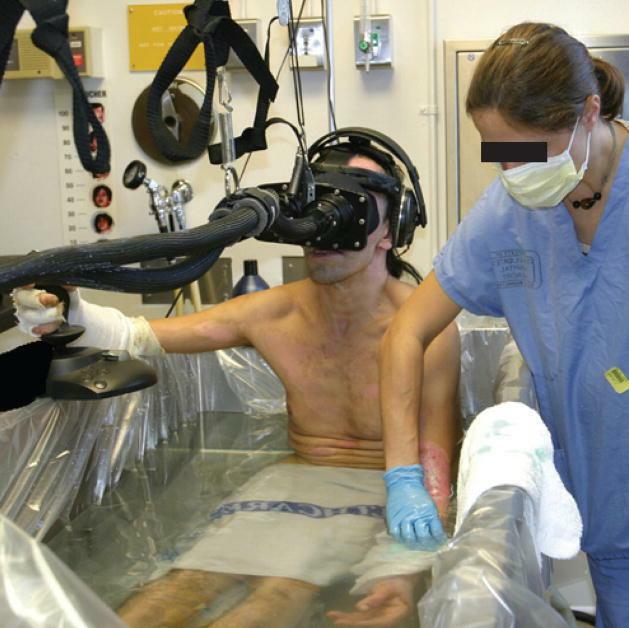 Burn patients might be the greatest benefactors of VR technology as treatments are some of the most painful procedures in all of medicine. VR is now being used as a means of pain relief. Patients put on VR helmets and are exposed to images of colder climate and snow, such as those in SnowWorld. Developed by researchers at the University of Washington Human Interface Technology Laboratory, Snowworld is a virtual reality experience developed for burn victims. 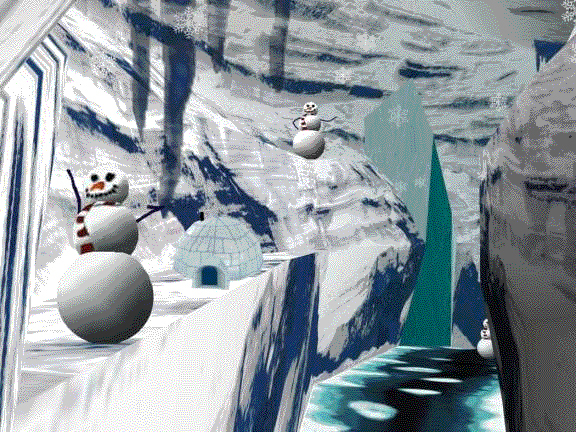 It’s basically a VR game that takes place in a snow filled land where users throw snowballs at penguins, wooly mammoth and snowmen. The purpose of the game is to take the focus away from their pain and put that focus on exploring the snowy virtual world. So far the results have been promising as studies have reported dramatic reductions in pain during VR. Painkillers can only work so much and patients have reported up to 50% decrease in pain during procedures as compared to patients not receiving the same type of VR treatment. While the results are still preliminary, other studies have shown the VR experience has helped distract patients from the real world pain. Doctors still suggest that VR cannot be used instead of usual pain killing techniques but still the effects of SnowWorld are being looked into. Virtual Reality in Medicine and Surgery: Commonplace in the Future? As the price tags go down, Virtual Reality is becoming more commonplace in households and businesses. Industries and institutions are integrating VR as a means of observation and prediction to foresee the best possible outcomes of a particular situation. Virtual Reality in medicine just happens to be one of the areas that are benefitting from recent innovations. As successes mount, the technology will become more of a staple in hospitals around the globe. Check out our articles on robots helping in hospitals and ones that are working as waiters.